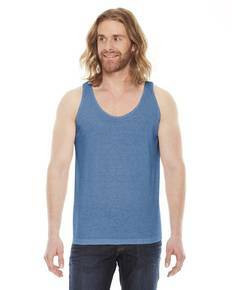 If the weather is warm and you’re looking for a wardrobe to match it, check out ShirtSpace’s selection of tank tops and sleeveless t-shirts at unbelievably low prices. We have one of the widest selections out there with some of the most competitive prices to match. Our wholesale apparel prices do not stop at our t-shirts; tank tops and sleeveless tees aren’t only perfect for the summer weather, they’re perfect for your wallet. Just like our other clothing items, our tank tops and sleeveless tees come in a wide range of sizes and styles so you can make sure you get a top that fits your mood. Find a loose sleeveless shirt to casually shoot around a basketball with friends, or find a tighter fitting tank top that you can strut around the beach in. And if you are having trouble finding a sleeveless shirt in the right shade, use our comprehensive color wheel to filter your search by tank tops in specific hues. 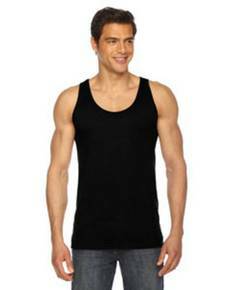 ShirtSpace carries blank tank tops and sleeveless t-shirts in addition to an array of designs. Shirtspace.com is dedicated to having a wide range of apparel of all styles and sizes, so we embrace our customers that want to show off a little arm and carry the best brands. From Gildan and Anvil, we carry exactly what you’re looking for. If you need that slimming workout shirt for the gym or just a tank top that won’t limit your range of motion when reaching for the remote, Shirtspace.com will provide you with what you desire. 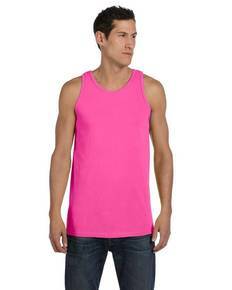 We aim to satisfy your every clothing need, and that definitely includes tank tops and sleeveless t-shirts.